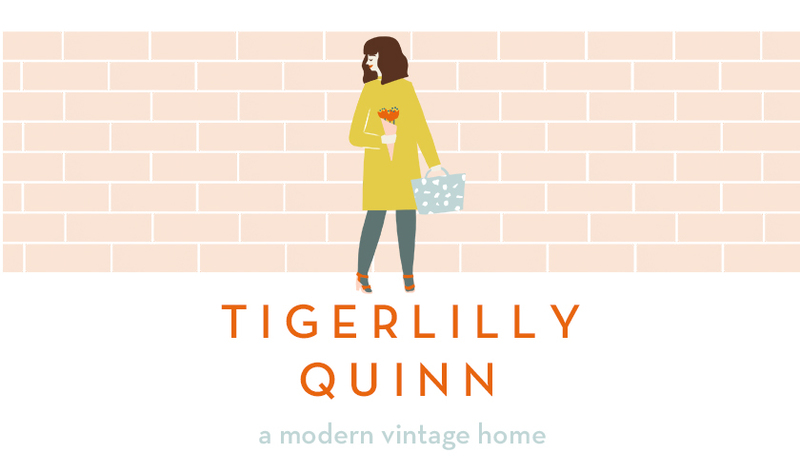 Tigerlilly Quinn: Quality time with the kids and win a years worth of housework done for you! 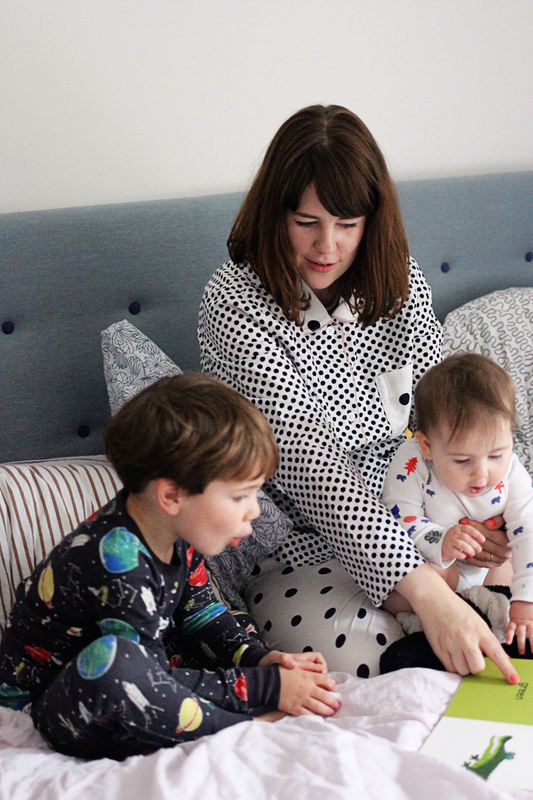 Quality time with the kids and win a years worth of housework done for you! 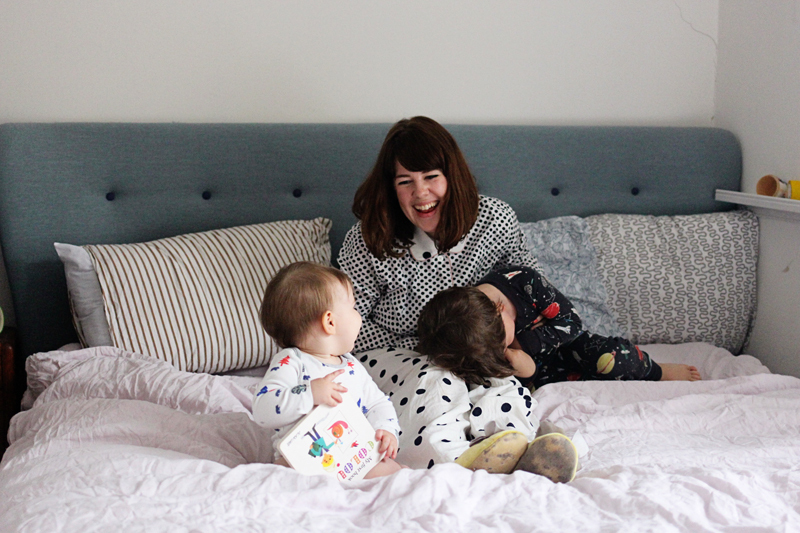 Every time I see pictures of my two little people and me I'm always exclaiming 'these are my favourite pictures ever!' Even if a couple of weeks ago a different set were my favourite a month later I change my mind again. Basically any new pictures with my gang are 100% my favourite pictures without a doubt. 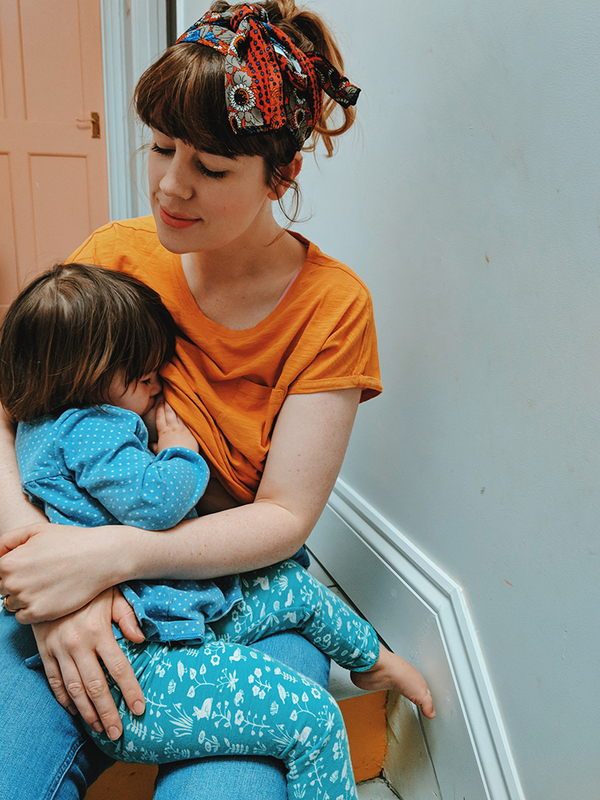 One of the reasons I'm so thankful for my job as a blogger is that it prompts me to do this, record moments and get in front of the camera too rather than always being behind it. 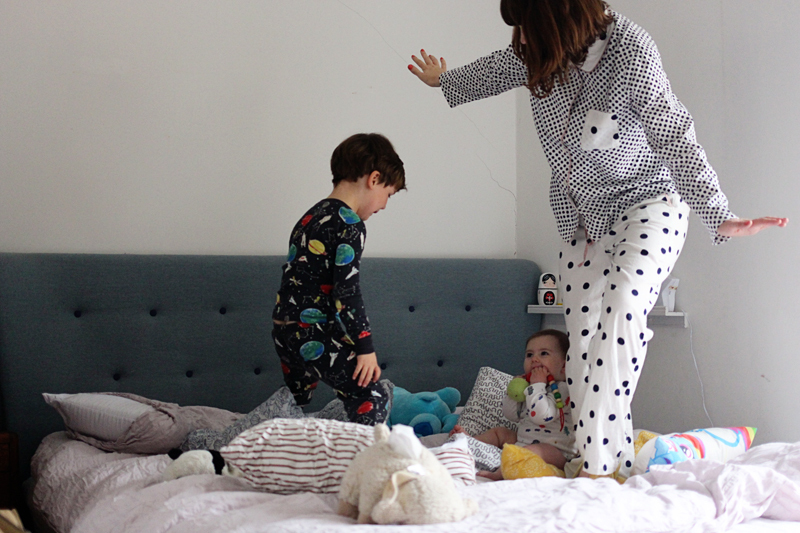 I'm working with Slumberdown in this post to chat about the important of play time with your kids. According to a recent study families spend roughly four hours a day doing household chores (which add up to 59 full days a year!) in comparison with just under four hours a week playing with their kids. I can't say I do four hours of cleaning a day ;) but if you add up general life admin, making dinner, putting on the washing etc etc I imagine it quite easily does add up. I'm often guilty of saying 'just wait a minute whilst I do this' rather than being able to get down on my kids level and really play properly. Obviously in an ideal world those stats would be flipped and we could spend quality time daily but I'm fully aware that we all have jobs and homes that need to remain at sort of tidiness and food to be cooked too! 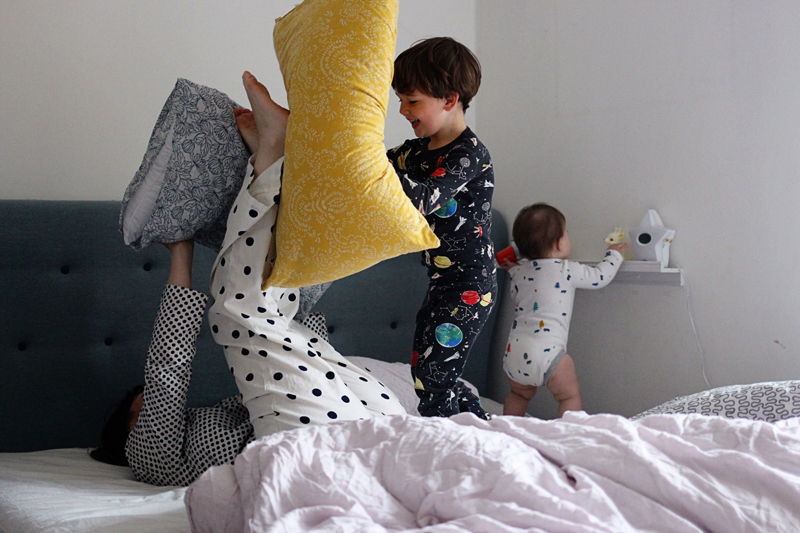 Slumberdown tasked us with finding the time to have fun in our home with simple games without having to leave the house. Fitting in that extra time to just be silly and play even if it was for twenty minutes before making dinner or tidying up the toys from the day. They are also running a competition to win having your housework done for a year (amazing prize or what?!) 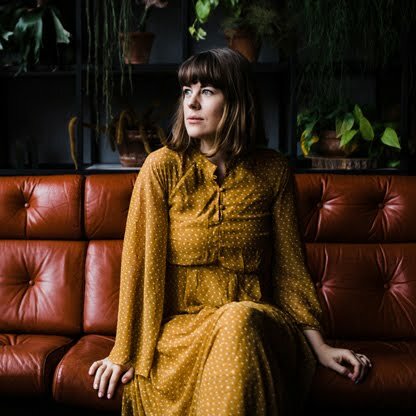 which you can find out more about here. We used the Slumberdown king size duvet and pillow set to create these games. 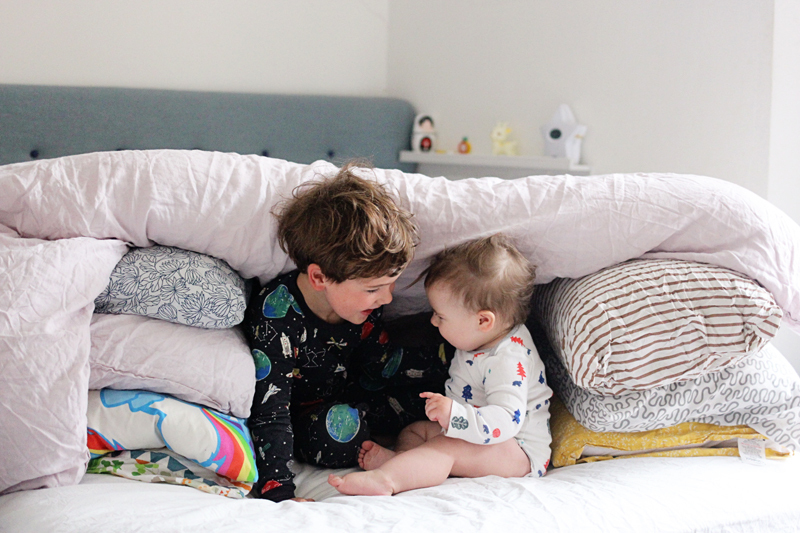 Here's how we got on..
Building forts - A classic in most households I'm sure! 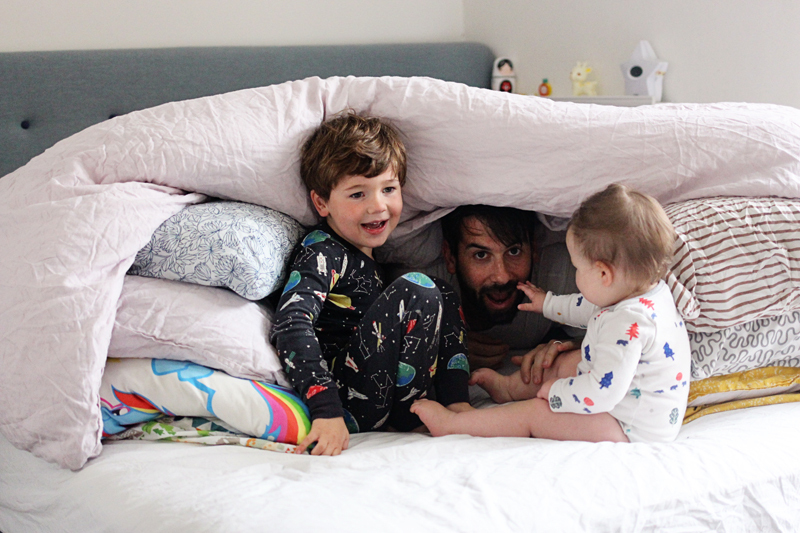 Wilf loves making forts and they never fail to make him excited. 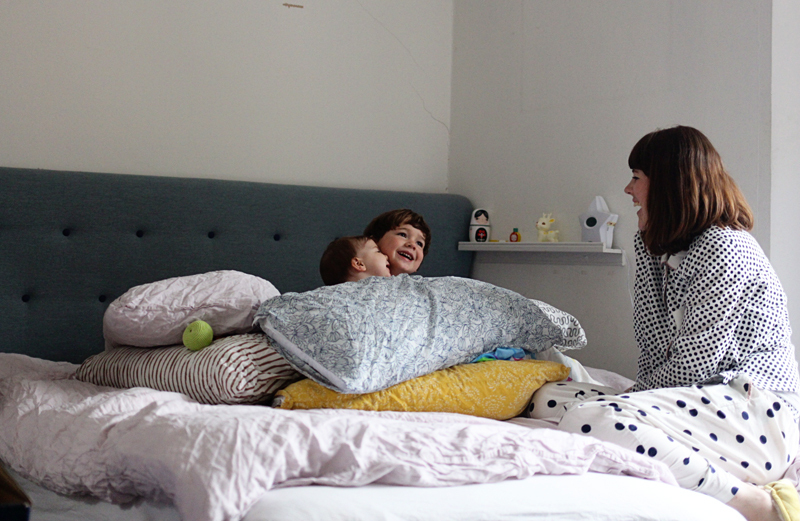 Even if its just as simple as piling up the cushions up high on either side of a duvet and snuggling down. I often make them for him on rainy days when I don't want to have him in front of the TV yet again. Grab a couple of softies and an audio book and you can have a pretty chilled half hour when you're four! Our next game was 'stepping stones' I used to play this as a kid and throw all my softies in the 'water' and pretend their were sharks that I'd have to step on the cushions (stepping stones) to try and quickly save my teddies. Adds a whole level of thrill, a lot of giggles and a lot of falling over into the water to shrieks! Our next came was building igloos. 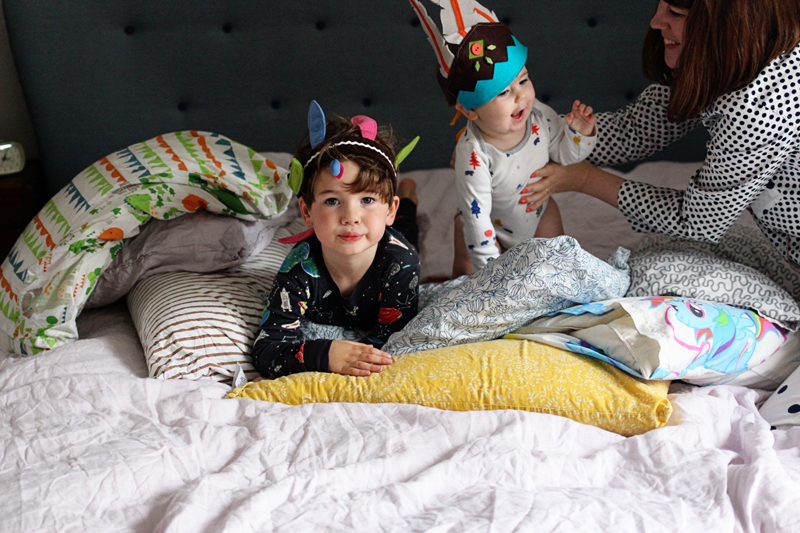 We raided the dressing up box for these headdresses although I'm not sure if it's traditional eskimo attire, space pjs and feathers in your hair ;) I have to say they look pretty cute regardless. If all else fails you don't need to anything fancy, my kids just love a story or a tickling episode! 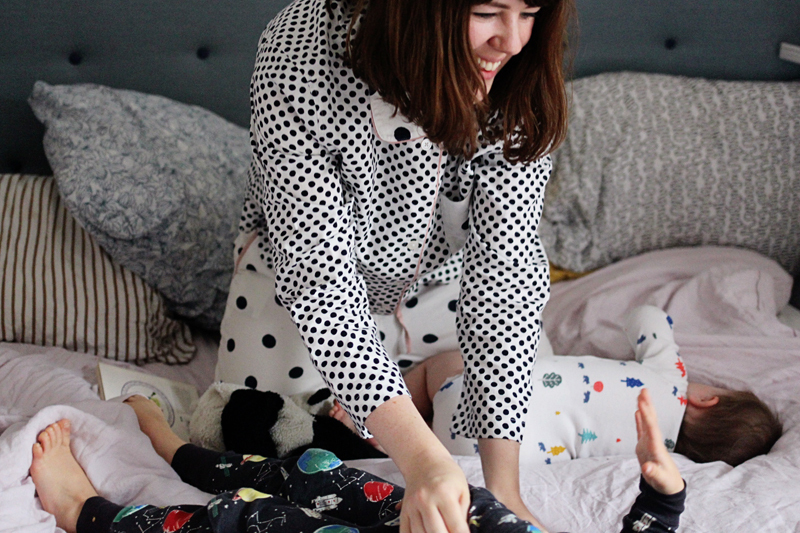 PJ days and bedtime games for the win! Especially on a Sunday, I feel like it should be mandatory! 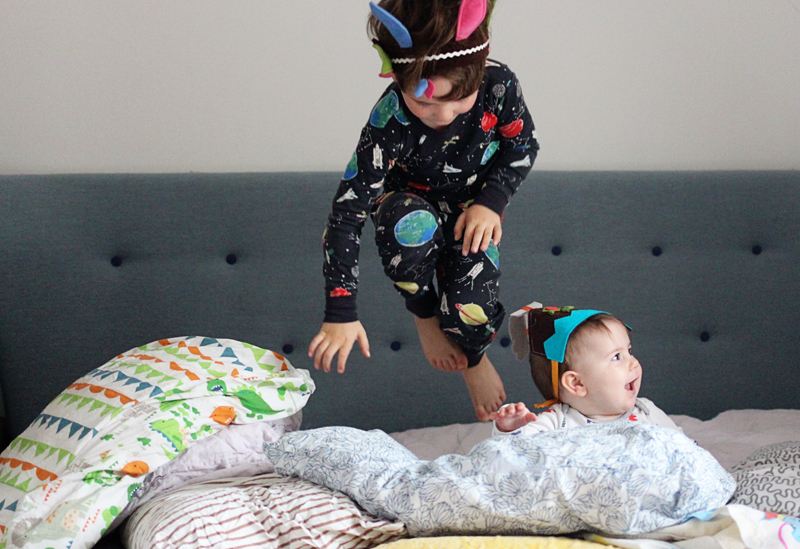 Do you have any bedtime games we should add to our list? 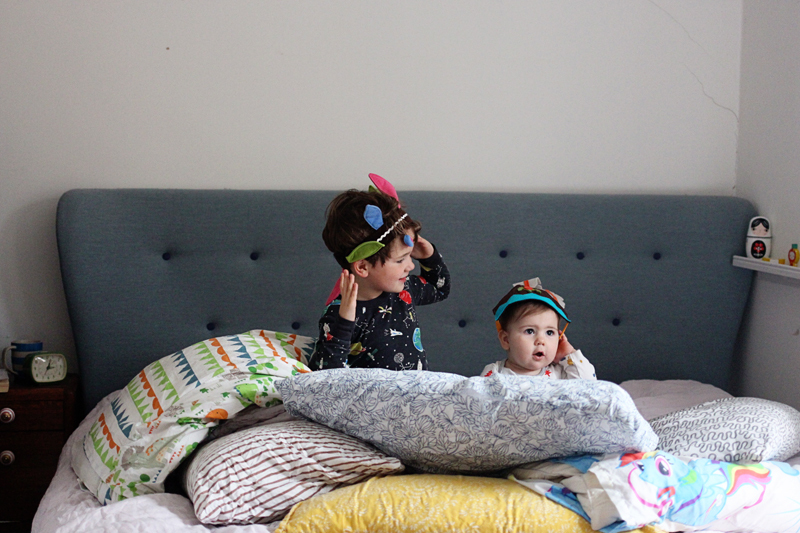 You can visit their 'Fun with kids' page for more ideas too if they inspire you! Don't forget to check out the competition to win your housework done for a year! 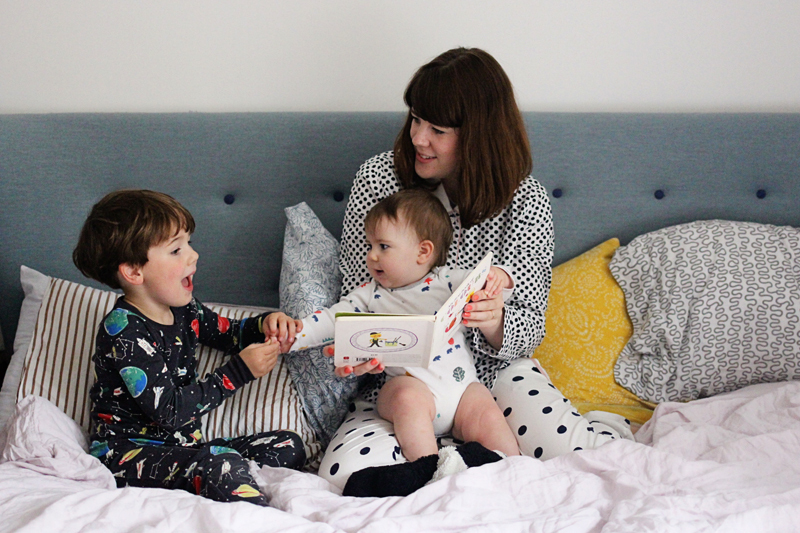 Bedtime is definitely 'one more story' time but this can go on a while!